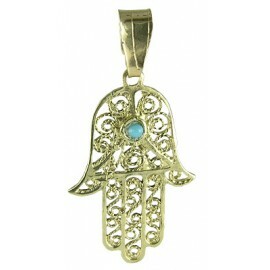 The Hamsa can be worn around the neck as a talisman to protect the wearer from general misfortune or as an amulet, for example, it can be hung in baby carriages. 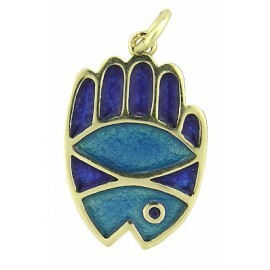 The spiritual protection of a Hamsa Hand brings good fortune, love, happiness, and good health. 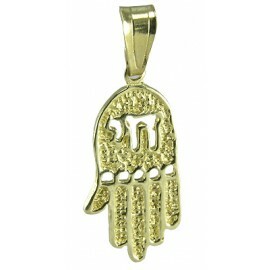 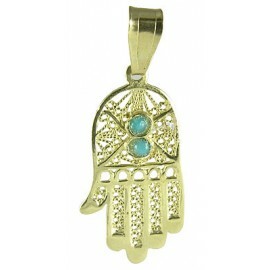 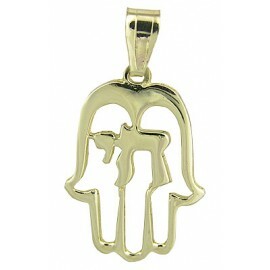 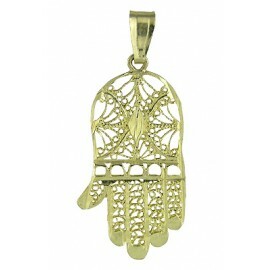 Our original handcrafted gold Hamsa Hand pendants are perfect for such purposes. 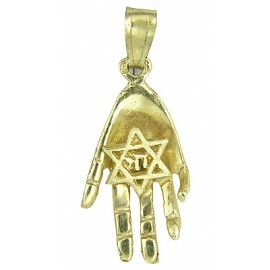 Gold in particular, as a Jewish symbol, represents the Divine Celestial Light of G-d (Daniel 11:21).